Award winning songwriter, Sinach believes in writing from her heart and has written over 500 inspiring songs . 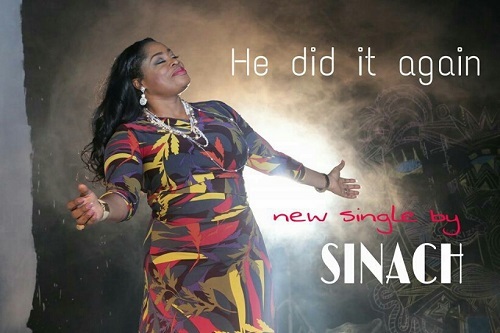 “He Did It Again” is her latest offering to God Almighty – a beautiful single written from a place of deep thanksgiving to God almighty. This track was produced by Mayo and video was produced and directed by Ose Iria.